Team SOMA MINERS developed a quiz-like application “Green Game”. 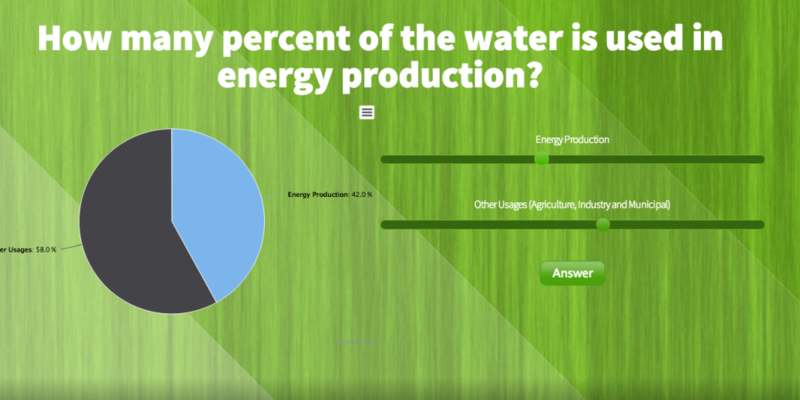 The game includes statistical questions about sustainability related subjects, such as the percent energy used in residential and public places or the distribution of water usage to the sectors. This aims to illustrate the potential contributions of collective efforts in reducing the unnecessary consumption and having more “green” approach. The user is challenged to answer these questions through a visual interface. After completing the quiz, the application displays the actual answers and assigns a score out of 100 based on the accuracy of the answers. Thus, the awareness is addressed in a joyful way. Report.